I am rebuilding the engine of 2016 CLA250. I am surprised to learn that this engine does not have an apparent timing marks in reference to the camshaft and the head and in reference to sprockets (adjusters) with each other. There is no marks at all at the head. I wonder if any of our members has knowledge as how to time the cam with no marks, or if any have a timing marks schematics. The dealer is no help as well as startek website. There is no literature available and that leave us (DYI) stranded. I would appreciate any assistance. I am interested to know the position of the cylinder No 1 cam lobes (intake and exhaust) position when the engine is at the TDC position. Thank you. Thank you JMC for your reply. I watched that video several times and it does not show a clear timing. 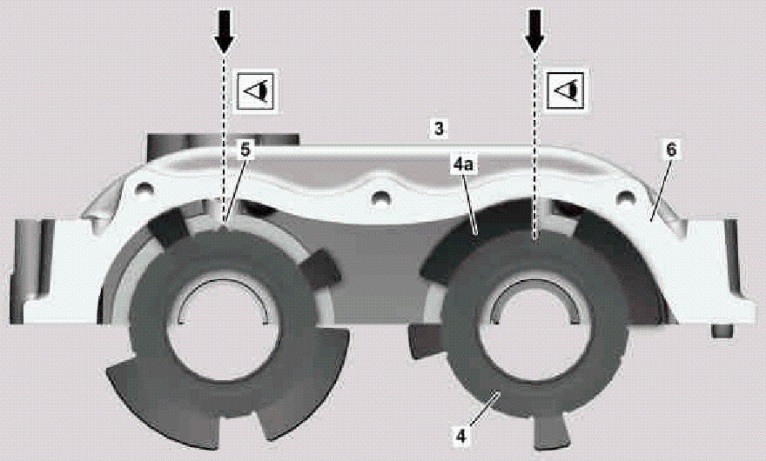 The cam does have an arrow and the sprockets have several marks at different locations. One of these marks has 3 lines in vertical position and 3 dots beside them. The sprocket also have a mark in horizontal position. So, it is not clear if the arrow should align with what mark. Another thing, the video shows that that arrow is up (12 o'clock) for the intake cam, but it is down (6 o'clock) for the exhaust cam. This situation puts the lobes of the intake cam at 10 O'clock and the exhaust lobe at 3 o'clock. I am not sure if this make sense? all these setting are at TDC. I would appreciate if you have an explanation. They do not make Mercedes the way they used to. Products to use for scratches, scruff marks, etc. ?